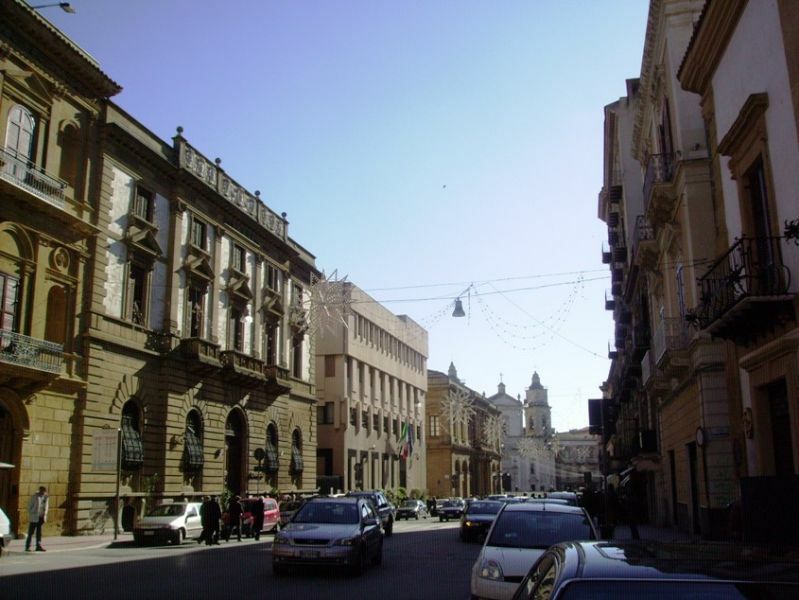 Caltanissetta, the capital of the deprived western interior, is, however, the largest. Bad luck and the mafia’s influence have struck the region and the town in particular profoundly damaging its reputation. The Saracens established themselves here first. It was then taken by the Normans in the 11th century. WWII also hit it hard, explaining why there is not much left to see here. The town´s economy was originally based onsulphur mining and later replaced by potassium and magnesium mining. 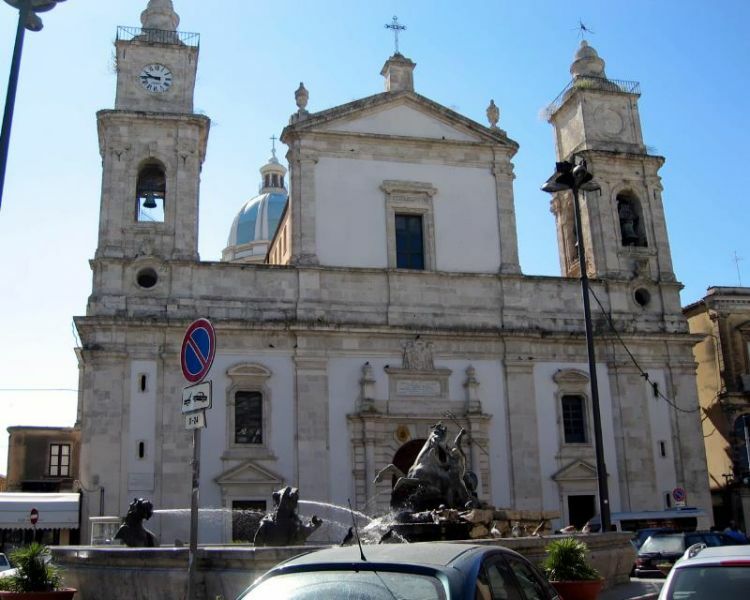 Caltanissetta is a core transport centre in the western interior, and so many people pass through. The tourist information office is on Viale Conte Testasecca about 300 m from the railway station. Off the railway station is the Museo Archeologico (Via Colaianni) which principally houses prehistoric pieces, such as Bronze Age figurines, vases, ceramics and farming tools. 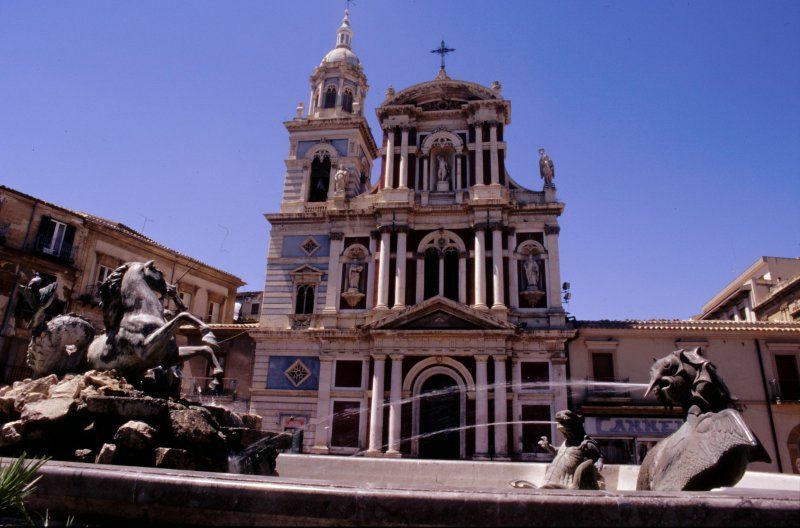 Its main square, Piazza Garibaldi, is lorded over by the town hall and its cathedral, a pastiche of late-Renaissance and baroque styles, modified in the 19th century and housing Guglielmo Borremans’ frescoes. Beautiful views can be admired from the few vestiges of the Castello di Pietrarossa. On Corso Umberto I is Boccon di Vino, a wine bar and trattoria. You can choose nibbles and wine a la carte or go for the recommendations on the daily menu at a good price. Head for Viale Sicilia for local specialities carefully prepared at Cortese. Vicolo Duomo (Piazza Garibaldi) is an outstanding restaurant, following the Slow Food movement and catering for a large clientele. BY BUS: To Agrigento (duration: 1 ¼ hours, services: 10 a day from Mon-Sat), to Catania (duration: 1 ½ hours, services: 9 a day from Mon-Sat). Bus tickets are purchased opposite the bus station. To Enna (duration: 1 hour, services: 5 a day from Mon-Sat). Tickets are sold in the terminal café. To Piazza Armerina (duration: 1 hour, services: 3 a day from Mon-Sat). Tickets are sold on the journey. BY TRAIN: to /from Agrigento (duration: 1 ½ hours, services 10 a day), to/from Enna (duration: 40 minutes, services: 7 a day).